Latest Pinoy Trending Question and Answer Trivia. Home » History » Whos the president of the Philippine Commonwealth against Manuel Quezon? » Whos the president of the Philippine Commonwealth against Manuel Quezon? Whos the president of the Philippine Commonwealth against Manuel Quezon? 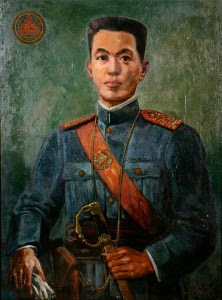 Filipino revolutionary, politician, and military leader who is officially recognized as the first and the youngest President of the Philippines (1899–1901) and first president of a constitutional republic in Asia. Click to see the Answer. Who is the "Hero of Tirad Pass"? What is the date of Philippine 2019 Elections?